Many people pay little attention to their equipment until it starts to fail or even stops working entirely. The main period when this occurs is at the beginning of the heating season when the system is turned on, and people cross their fingers for luck. Often, the system struggles after a prolonged period of inactivity, there may be strange noises, short cycling, and other issues to resolve. Any problems that were already becoming worse will still be there and still need to be addressed. It doesn’t have to be this way; regular maintenance will ensure that the heating system will work efficiently for the season ahead. Let’s take a closer look at some maintenance tasks that will keep your system working well for longer. This is one of the easiest and most productive things that you can do to get your system back on track. Changing the filter at the beginning of a heating season and then for every month after that is vital. When the filter is dirty, it will block the flow of air to your system; this can lead to poor heating performance and an overall reduction in efficiency. As a result, your system will cost more to run, and your quality of heating will decrease. The instructions for changing your filter will be clearly indicated in the owner’s manual for your equipment. If you’ve misplaced your manual, check the system for a model number and consult the manufacturer’s website for more information. When your heating system is not in use, there will usually be an accumulation of dirt and debris that has settled on your furnace. This will inhibit the efficient operation of your heating system and raise your energy bill. Any unresolved issues will still need to be looked at to ensure that the system works smoothly as intended by the manufacturer. The best way to get your heating system ready for the season ahead is to book a maintenance visit. When your system is examined by a professional technician, they will give it a thorough clean, test the individual components, offer valuable advice and fix or replace any faulty parts. This will improve the performance and make the system more energy efficient. 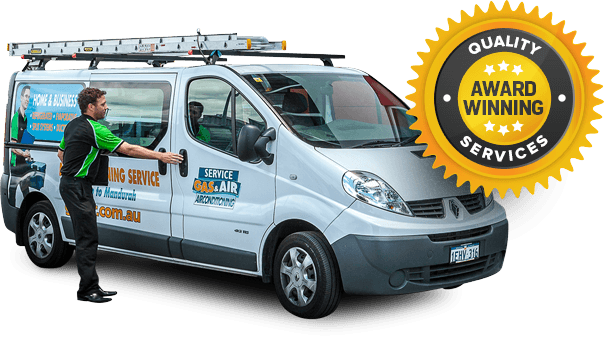 Some local heating and air conditioning companies, even have a maintenance plan that you can join, to enjoy hassle free scheduling and savings on your servicing and repairs. If you need a gas ducted heating service, contact us here at Gas&Air for more information. We install, repair and service a wide selection of equipment, including cooling and heating air conditioning systems. Our highly trained technicians pride themselves on providing a high quality of service at an honest and fair price. Our team members are standing by to discuss your needs in more detail, and they would be happy to answer any further questions that you may have.